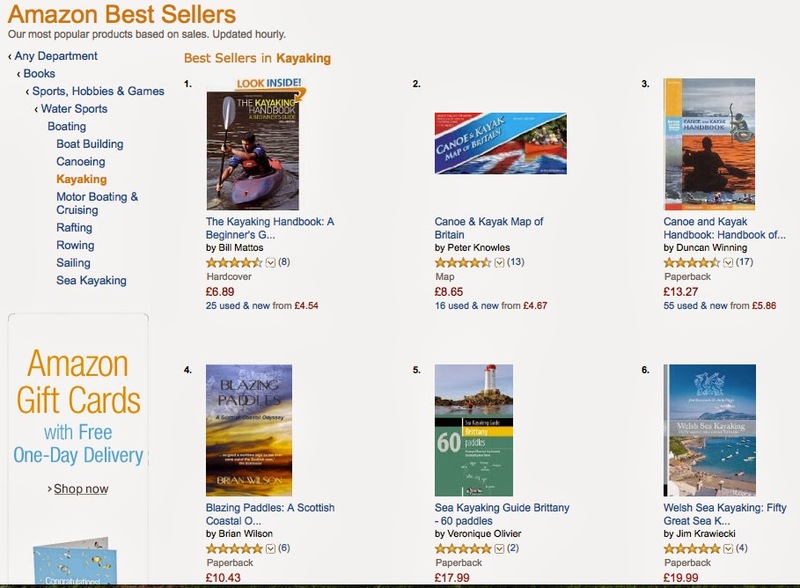 Well, it's in and out of the No.1 spot, to be fair, hounded by the excellent Pub Paddles and Canoe and Kayak Map of GB, both by Peter Knowles. As I press "publish" on this, it's sitting at number five. Still not too shabby. Also interesting to see that so many of the books in the top twenty are about sea kayaking. But lovely and uplifting to find my book doing so well. However... I wrote that book in 2001, for all that the publication date reads 2009. So, although it is not out of date, per se, it's a repackaged version of a fairly old product. And that's why it's cheap. 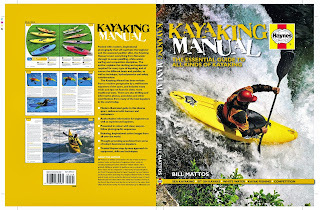 So, unless your budget prevents you, please buy the Haynes Kayaking Manual instead - it's brand new, up to the minute, and has many cool and recent photos in it. You'll also be spared my incessant gibbering for a few pages here and there, as I include contributions from paddling friends all round the world. Top guys and girls, every one. EJ, Helen Wilson, James Bebbington, Freya Hoffmeister, Rafa Ortiz and many more! Also, and most importantly, you'll be lining my pockets. I get a small but important royalty for each edition of the Haynes Manual sold, whereas the older book, I get nil, nada, nothing - I was paid a fixed fee for that one, and I've long since spent it. In 2001, in fact. So, ladies and gentlemen, once again I present - the Haynes Kayaking Manual. It's available from all good booksellers, although it's probably cheapest on Amazon. It's very good, has more 5* reviews than anything else I have written, and covers more topics than any previous kayaking book - it's not just about falling off waterfalls! Please go and buy one. If you can't afford it, drop me an email and I'll try to fix you up. Thank you all for your continued support, I really appreciate it!